How to enhance your WordPress website Navigation is a critical question if you want to offer a better, easier and effective website navigation experience to your website users. Also website’s navigation enhancement is a great aspect you’ve to work on if you’re serious about your website visitors’ accessibility aspects (if any of them are differently enabled for accessibility etc), when and how many times they click on the navigation links, does the navigation menu link clicks have an impact on leads and conversion etc. If all these counts for you – you should surely work more on enhancing your WordPress website’s navigation. The importance of website navigation is critical when it comes to empowering your website visitors with the great and easy user experience. An organized and transparent navigation system acts a roadmap to direct your visitors to different pages and posts on your site and encourages them to stay longer on your website and pursue your contents. This will not only reduce the bounce rate but will also boost the user engagements and conversion rate of your website. Navigation menu, being an essential element of any website comes inbuilt in the WordPress network along with the various customization options and position options. 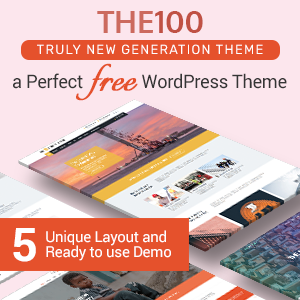 However, these features and functionality provided by default WordPress menu is limited and may not be able to hold the links of all the important elements of your website. Moreover, the default menu also lacks the design option for displaying your content in a visually appealing way. So, if you want all the important web content to be displayed on your navigation menu in an elegant and stunning fashion, we recommend you to use WordPress plugin that can be found on the internet. As they contain various customization and position options for your menu in a beautiful and eye-catching fashion. 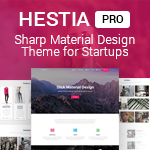 WordPress, being one of the flexible platforms to their users contains number of navigation menu plugins that allows you to create various types of menus on your WordPress website like Mega Menu (for storing lots of contents), flyout menu (for extra animations), floating menu (sticky menu), circular menu (for fancy navigation). How to enhance WordPress navigation menu to make it more effective? Here in this article, we will discuss the various ways of enhancing and making your WordPress website’s navigation more user-friendly, easy, effective, accessible and communicative. 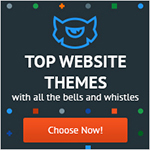 Mega Menu plugins are used for holding large contents of your WordPress website. On the mega menu, you can add lots of information and rich media like images, videos, and custom post types. They enable you to represent all the important link of your content heavy site. 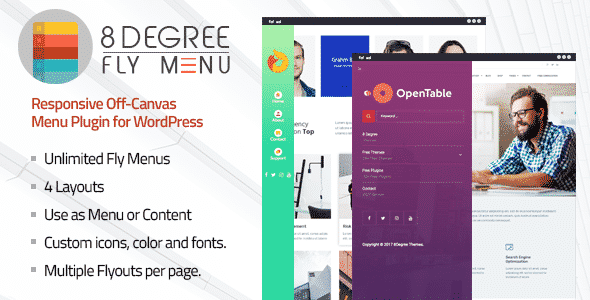 Get this excellent mega menu only for $19 at the CodeCanyon marketplace. 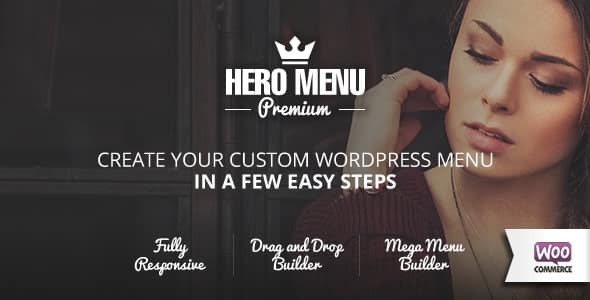 Also, check out the step by step tutorial of How to Add Mega Menu in your WordPress Website or Blog. 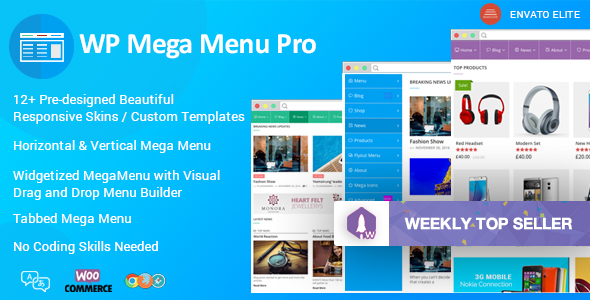 You can purchase this powerful Mega Menu Plugin at the price of $25 at the CodeCanyon marketplace. 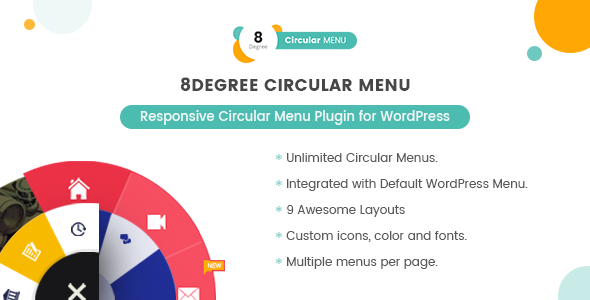 Also, check out the collection of The Best WordPress Mega Menu Plugins. The Menu Icons Plugins will let you add custom icons like font awesome, dashicon, genericon, themify icons and many more. The icons you add on the menu items will make them look visually great and more effective in action. By doing so, you can make your menu more visible to your audience and that may create high chances of converting through their clicks. 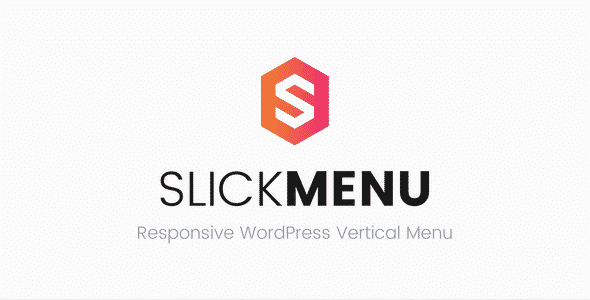 You can purchase this cool menu icons plugin at the price of $16 from the CodeCanyon marketplace. Adding the off-canvas fly menu on your WordPress website will make its navigation menu look unique, beautiful and elegant. On the off-canvas menu, you can add various animations and trigger options for making your navigation displayed to your audience in a stunning fashion. You can buy this excellent off canvas fly menu at the reasonable price of $17. Also, check out step by step guide of How to add Off-Canvas Fly Menu in your WordPress Website or Blog. Sometimes, placing a fancy menu on your WordPress website can provide a great boost to user experience and user engagement. 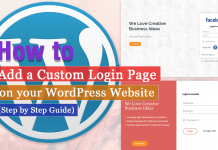 They may attract your visitors with their fancy layouts and may even keep your visitors some more time on your WordPress website. You can purchase this cool one-page navigation menu plugin for $18 only in the CodeCanyon marketplace. 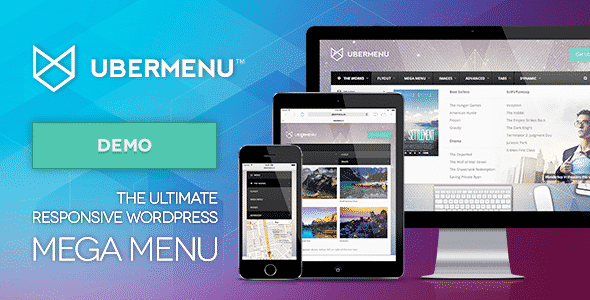 Get this powerful fancy menu WordPress plugin for $15 at the CodeCanyon marketplace. A floating side tab (or bar) is one of the best tools for enhancing your website’s user engagement and conversion rate. 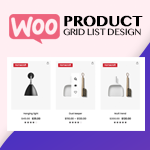 You can keep the link of all the important contents, social media icons, opt-in subscription forms and many more inside it and can be triggered out with various types of animations. Moreover, they stay sticky on your WordPress website even after your audience scroll down your site. 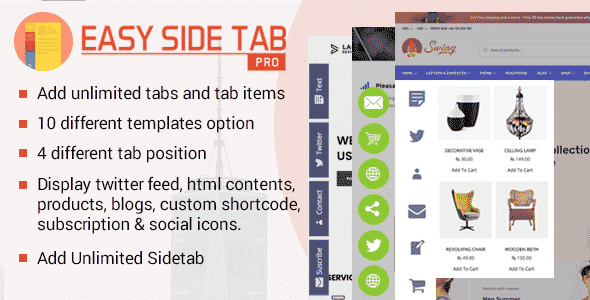 Easy Side Tabs Pro is one of the great and feature rich WordPress side tab plugin in the CodeCanyon market. It contains the following major features. You get this plugin at the reasonable price of $16 only. Also, check out the step by step guide for How to add a floating side tab, bar in your WordPress website. 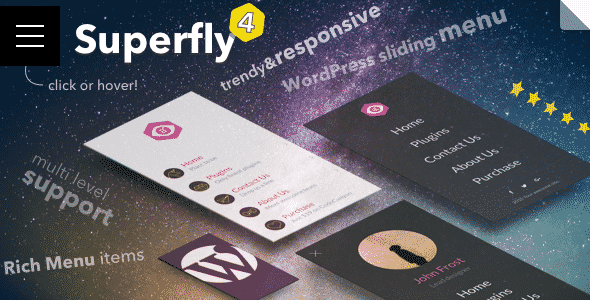 You can purchase this powerful WordPress side tab plugin for $21. 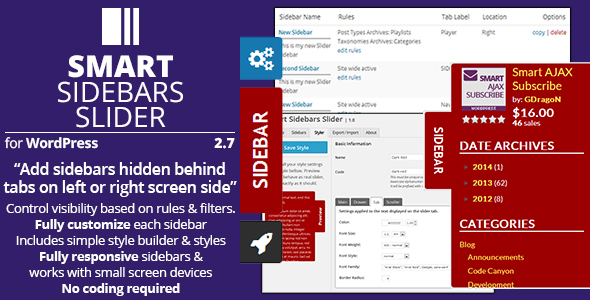 Also, check out the collection of 5+ Best Floating Side-Tab, Bar Plugins for WordPress. These are the various different plugins that can be used for boosting functionality and usability of your navigation menu. Each of the plugins are cleanly coded and are very popular in the market. So, which one is your favorite one. Let us know in the comment box below. How to Add YouTube Subscribe Button in WordPress? 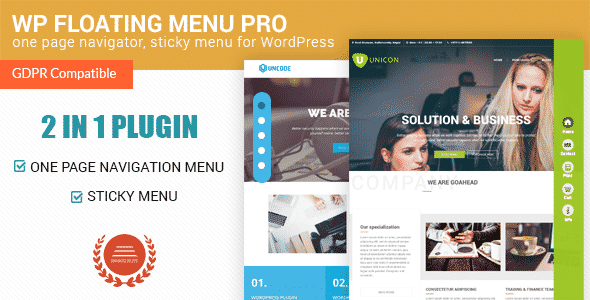 Hey Buddy!, I found this information for you: "How to enhance your WordPress website Navigation with Mega Menu, Fly Menu, Circular Menu, Custom menu icons and more!". 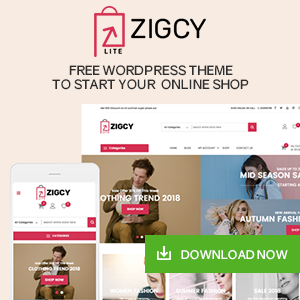 Here is the website link: https://wpallclub.com/how-to-enhance-wordpress-navigation-with-mega-fly-custom-menu/. Thank you.